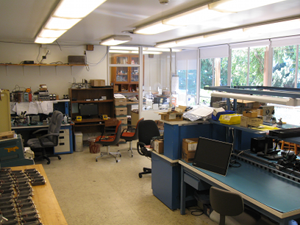 The CENPA electronics shop provides modern surface-mount technology and miniature cable manufacturing equipment on site and in appropriately clean areas. The shop continues to do custom design work for specialty pre-amps as well as dedicated multichannel DAQ systems and contracts with outside vendors to effciently produce custom printed circuit boards for these projects in a cost-effective manner. 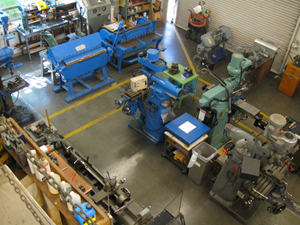 The shop also interacts with the on-campus Washington Technology Center taking advantage of much of the capital-intensive, high-tech equipment there that is more effectively used as a cost-shared facility. The electronics shop staff also provides training for students and other staff members so that they may quickly and easily design, build, and repair their own small projects. The NPL Data Center (NPLDC) previously contained a single high performance cluster, ATHENA, and now provides the infrastructure to multiple clusters and department appliances. 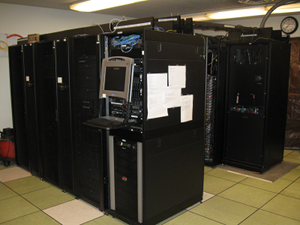 The ATHENA high performance computing (HPC) cluster has evolved into multiple smaller computational clusters. One of these clusters, CENPA, currently runs a Rocks 5.3 cluster which provides computing power to CENPA faculty and students. We are investigating the possibility of scaling the cluster to a hybrid cloud by leveraging publicly available clouds resources. In addition, NPLDC supports a wide range of server appliances: virtual web/wiki/gateway servers, SQL servers, ﬁle servers, backup servers, shared storage arrays and security appliances. 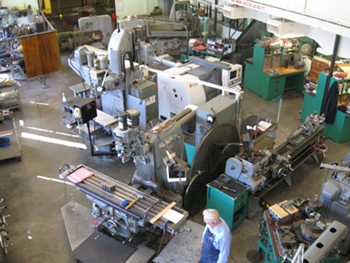 The student shop is headed by an instrument maker who himself does small machining jobs but more importantly provides safety training and instruction to students, staff, and faculty on the operation of a wide variety of machine tools. Our instrument shop is manned by two highly skilled instrument makers with decades of experience working in the university and research environments. The shop equipment is kept up to date as evidenced by the recent addition of a CNC mill and CNC lathe. The instrument makers interact with students, staff, and faculty on a daily basis providing instruction on how to design physically realizable devices and how to correctly document design changes. In this sense it is an instructional facility as well as a shop facility. CENPA has a High Voltage Engineering Corporation Model FN tandem Van de Graaff accelerator purchased in 1966 that has been in continuous use performing a wide variety of accelerator based experiments. In 1995 it was adapted to use an (optional) terminal ion source and a non-inclined tube #3, which enables the accelerator to produce high intensity beams of hydrogen and helium isotopes at energies from 100 keV to 7.5 MeV. The accelerator and its associated ion sources are operated and maintained by staff and students at CENPA. The graduate students and undergraduate hourly employees are trained to operate and service the ion sources and the accelerator in the facility. Experiments in nuclear physics and astrophysics for PhD thesis work as well as graduate and undergraduate projects are done annually using the accelerator. Outside users are also welcome and are frequently accommodated by the lab. Please contact us for rates and availability.